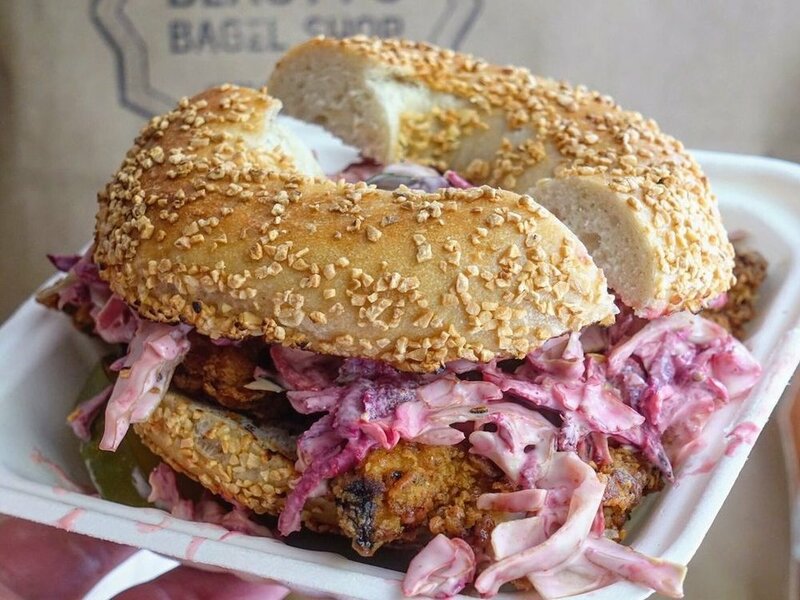 In this edition; a bagel shop is poised to open its second location, a Filipino eatery closes its doors citing gentrification, and a San Francisco barbecue joint brings back an item for East Bay delivery customers. 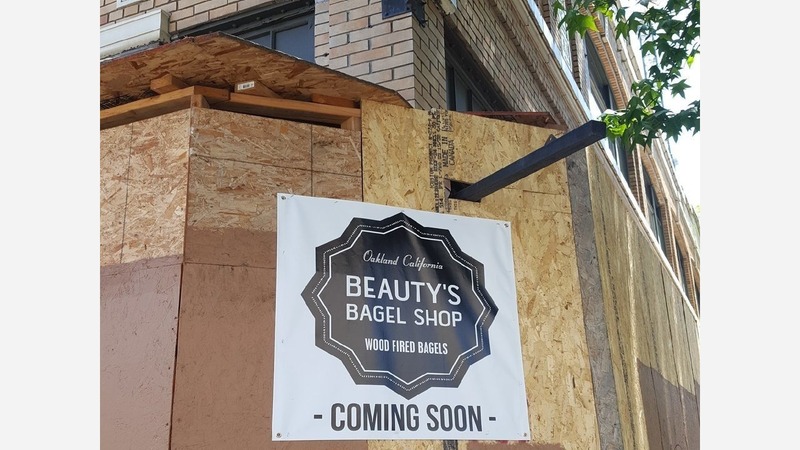 Veteran Hoodline tipster Al M. reports from Uptown that Beauty's Bagel Shop is opening its second location in the space that was formerly occupied by Henry's Gallery Cafe, which closed last summer. The shop has its flagship location at 3838 Telegraph Ave. in Mosswood. On Al's visit, a source said that the bagelry's owners hope to be ready to open this summer, but an exact date has not been set due to ongoing renovations. Tipster Gina B. stopped by as well and noticed that the entire facade of the building has been boarded up during its construction phase, so it's not clear how far things have moved along. Beauty's Bagel Shop comes from owners Amy and Blake, who originally hail from Philadelphia. The shop's concept is inspired by "the bagel shops of Montreal, where bagels are rolled by hand, boiled in honey-sweetened water and baked in a wood-fired oven," according to the business' website. When the new spot is open, expect to see bagel variations like sesame, poppy, onion, everything, cinnamon-raisin and others, along with natural cream cheese, vegan spreads and other schmears like chopped liver and hummus. 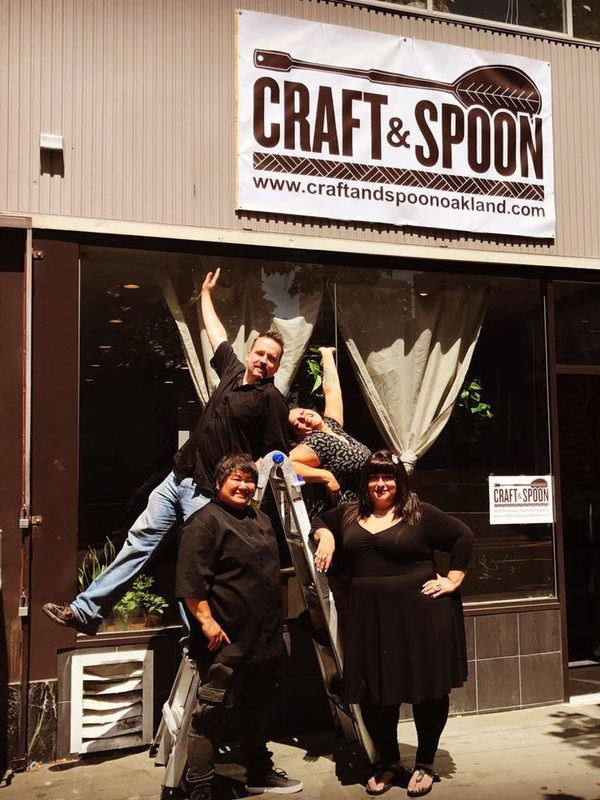 Charleen Caabay's Craft & Spoon closed last Friday after less than a year in business. Caabay is also behind Filipino eatery, Kainbigan and was the first Filipino chef to win Food Network's Chopped. Co-owners Caabay, Christine De La Rosa, Aima Paule and Michael Schlieker announced the closure on social media last week. Citing the "fast moving aches of gentrification," owners said a new lease that would cost the restaurant $225,000 per year. 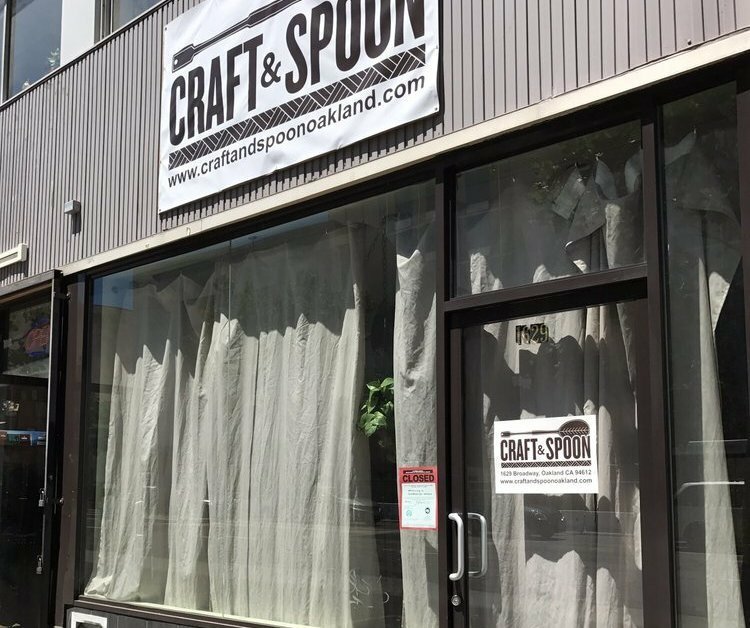 Craft & Spoon's principals said they've "learned how much of an importance it is to have a POC presence in the heart of The Town ... Spend your money with them -- that is the best investment you can do for our community." The message concludes with a hint that Craft & Spoon, or some variation thereof, might be in the works in the future. 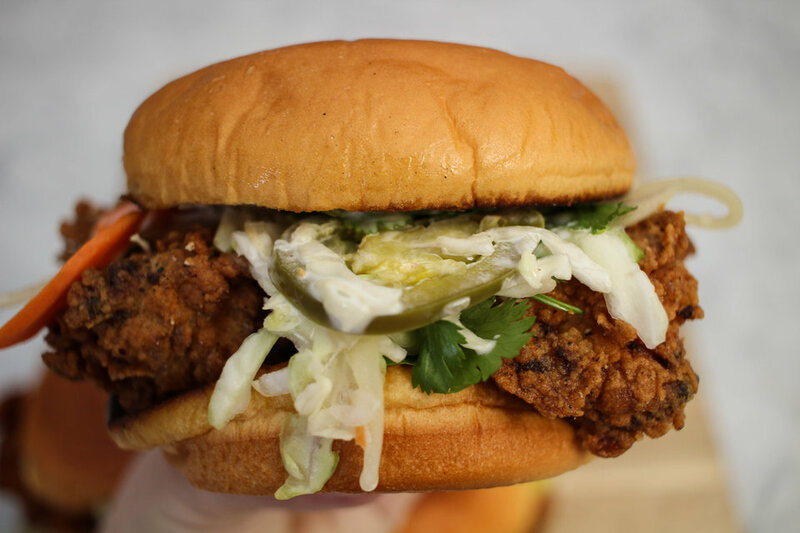 Lastly, San Francisco's 4505 Burgers & BBQ is reintroducing its "Fried Chicken Yum Yum" sandwich and delivering it exclusively to the East Bay via partners Caviar, Postmates, UberEats, Doordash and Grubhub. According to a spokesperson, the Yum Yum sandwich was first introduced in 4505's early days when it operated out of a farmers market stand. The sandwich's chicken is partially breaded with chicharrones, topped with house-made pickles and mayo, and served on a potato roll. To make it "Yum Yum-style," diners should request to add 4505's pickled market slaw and house white barbecue sauce. Or, you can order it spicy by having it dipped in the restaurant's spicy-hot chicken blend. Delivery to the East Bay is available weekdays all day and Friday-Sunday from noon on until 11 p.m. Many thanks to tipsters Al M. and Gina B.!